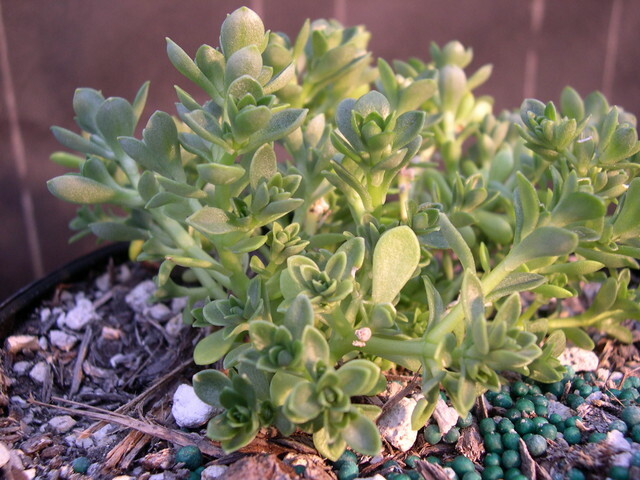 This is a Japanese species that is related to Sedum nagasakianum but has a tendency to be more perennial. It grows on rocks in its native habitat. Leaves are green and flowers are yellow in May-June. Grows to about 4 inches tall.